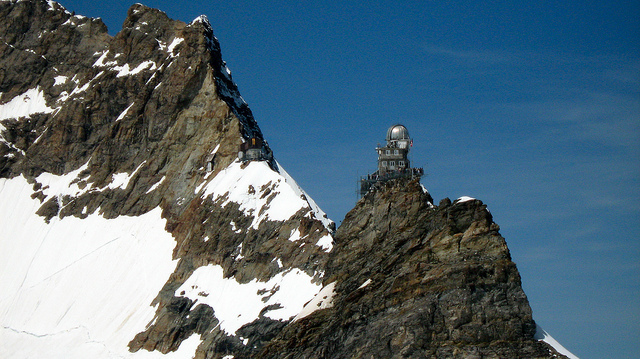 The Sphinx peak begins from the Jungfraujoch on the Valais side of the Great Aletsch Glacier. 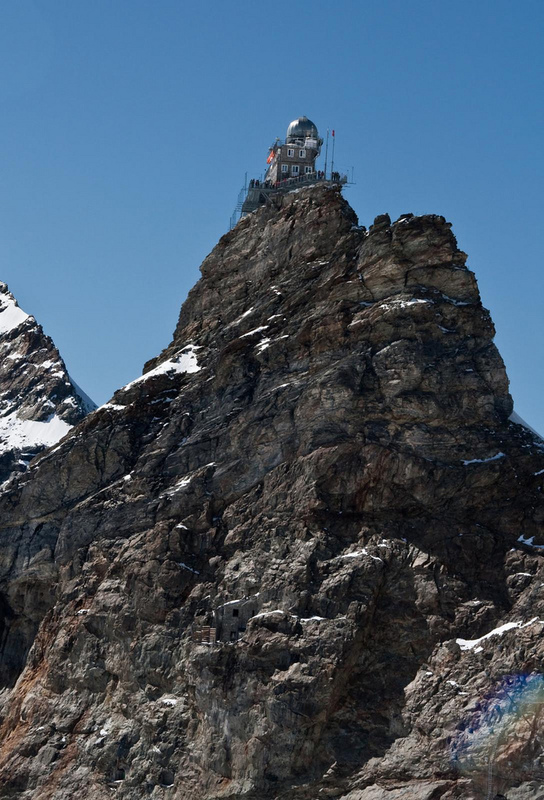 Fortunately, for those not built like a mountain goat, there is an elevator to its summit. 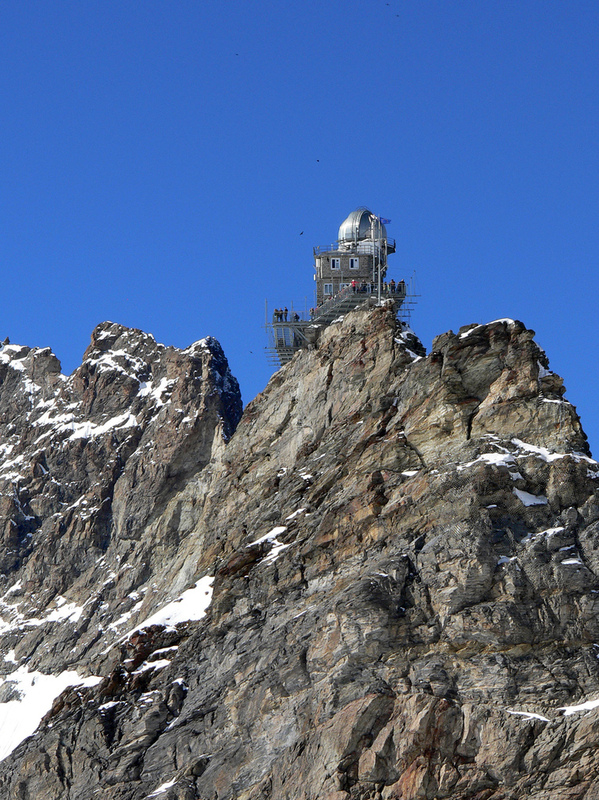 There, a diminutive viewing platform and the Sphinx Observatory are located. 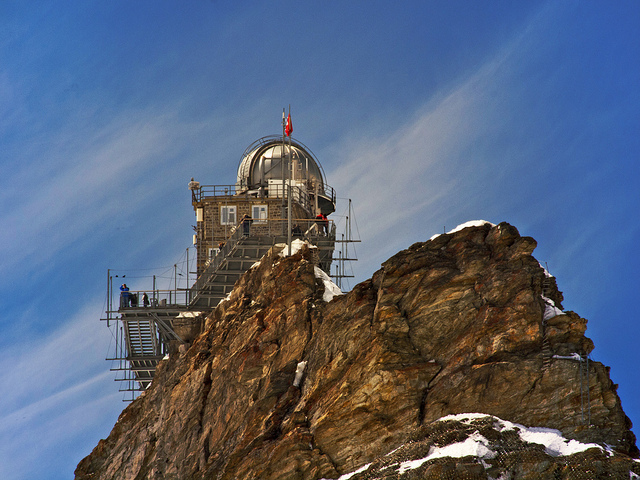 It is little wonder that this place is referred to as the Top of The World in Switzerland (and that is saying something for a country that mountainous). Getting there, too, is not for the faint hearted. 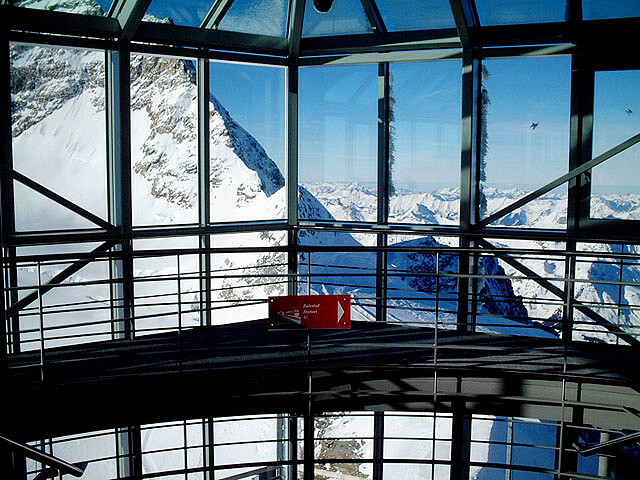 If you are in the nearest city, Berne, you can take a 45 minute train journey to the bottom of the Alps. From there you must catch several other trains (over a period of 3 hours) to take you to this location. 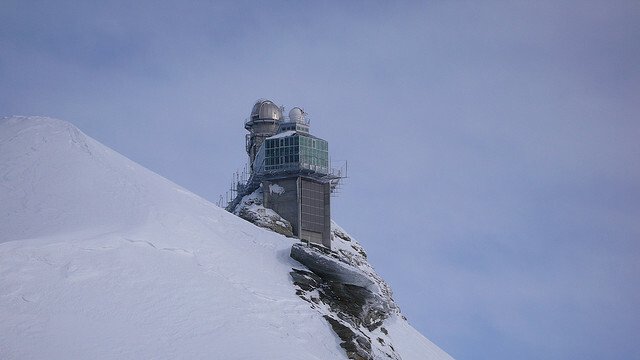 The Sphinx serves as a neutrino site as well as a star observatory. 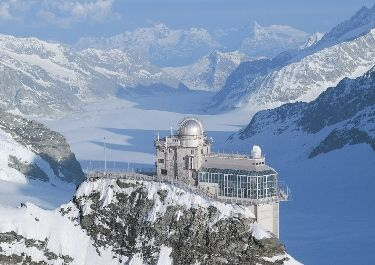 It doesn’t look very large but it houses four laboratories as well as the astronomical dome. Scientific experiments are also conducted on its two terraces. 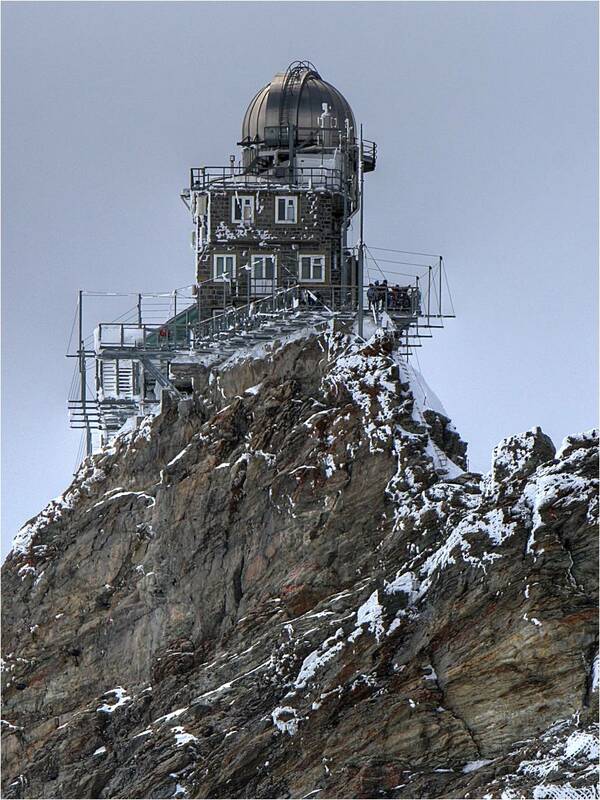 There is even room for a small weather observation station. 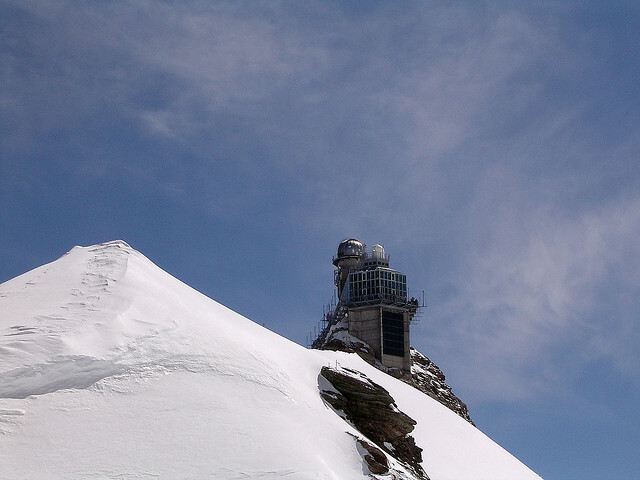 The observation instrument in the astronomical dome is a 76 cm telescope and is part of the solar spectrometer of the Institute of Astrophysics and Geophysics of the University of Liège, Belgium, and the LIDAR experiment conducted by the École Polytechnique Fédérale de Lausanne in Switzerland. Many long-term experiments are permanently installed in the Sphinx laboratories. Visitors to the site are welcome but the only overnight accommodation at the observatory is reserved for the researchers and scientists. 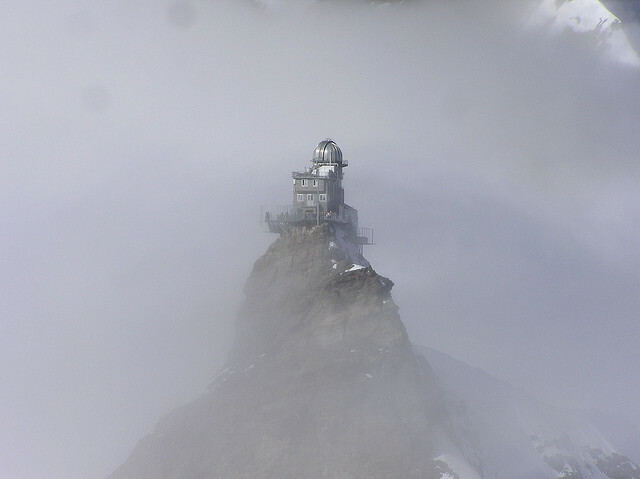 So, as long as it might have taken you to get to the summit of Jungfraujoch, this is not a place for casual loitering! You have to get off the mountain before the evening sets in.